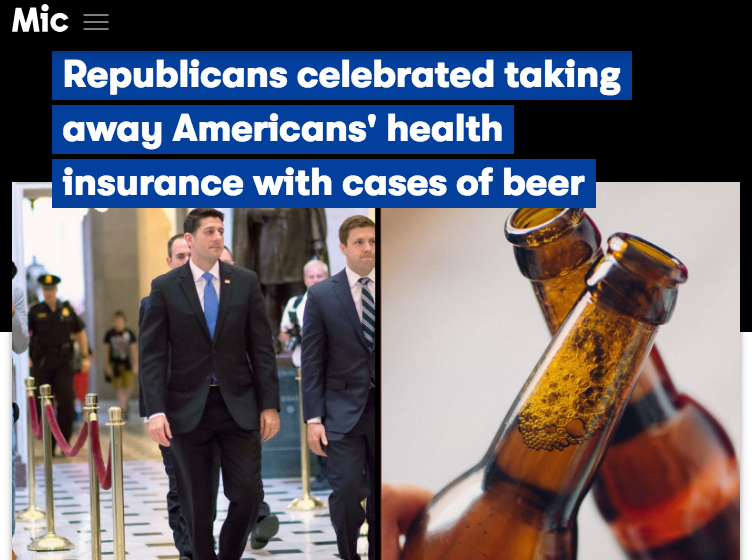 I don’t know if the AHCA is good, bad, or somewhere in-between. 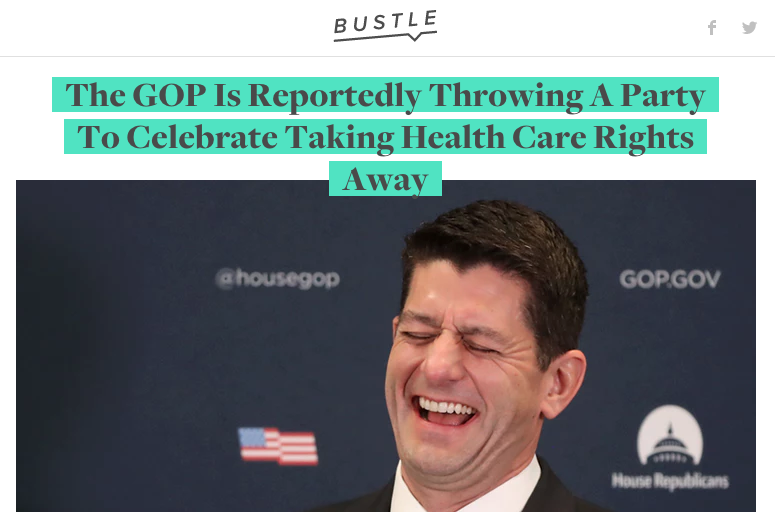 I do know that any excuse to bash Republicans is a good excuse, whether it’s true or not. 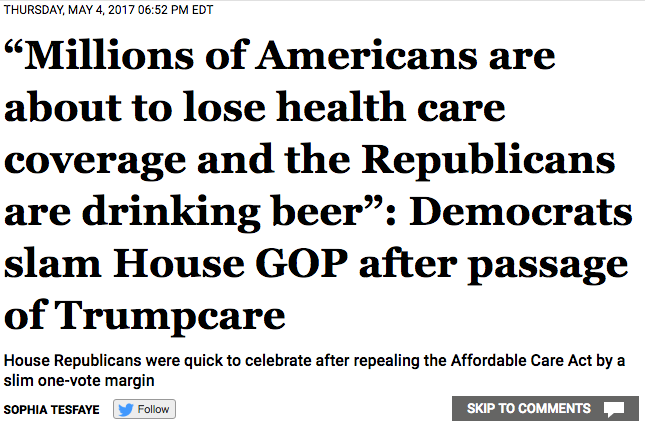 The following tweet from Alexandra Jaffe at Vice News sets up a delicious premise for any liberal in good standing: The Republicans are repealing Obamacare because they want everybody to die, and now they’re celebrating with some crappy Bud Light! Oh. 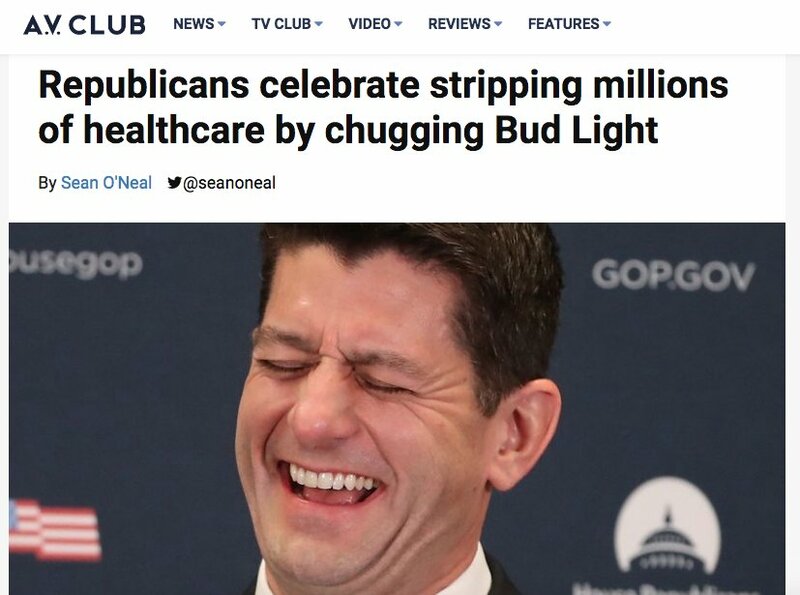 Correction: Republicans are repealing Obamacare because they want everybody to die, and somebody else is drinking crappy Bud Light! Too late, though. Now, the too-good-to-check story is all over the web. Now, I know how it is. Just earlier today, I fell for a story that ended up not being true. It seemed plausible, and I believed it because I wanted to believe it. But the minute I realized it wasn’t true, I posted a correction and an apology. I don’t like having to admit I was fooled, but I like spreading fake news even less. I’m sure all of these people will do the same. Right?